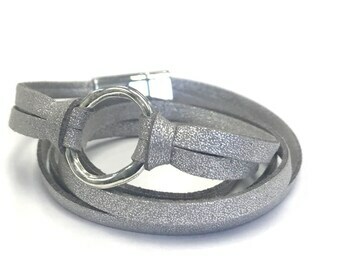 Embrace a unique look with this stylish and chic circle wrap faux leather bracelet. Created from faux suede, gold studded rhinestones and a gold wavy disc, it creates a look that is both sophisticated and trendy. Ready to wear alone or with other favorite pieces, this piece from Wraps by Renzel will quickly become a favorite accessory. This faux suede circle wrap bracelet features a magnetic closure which makes it simple to put on and take off. 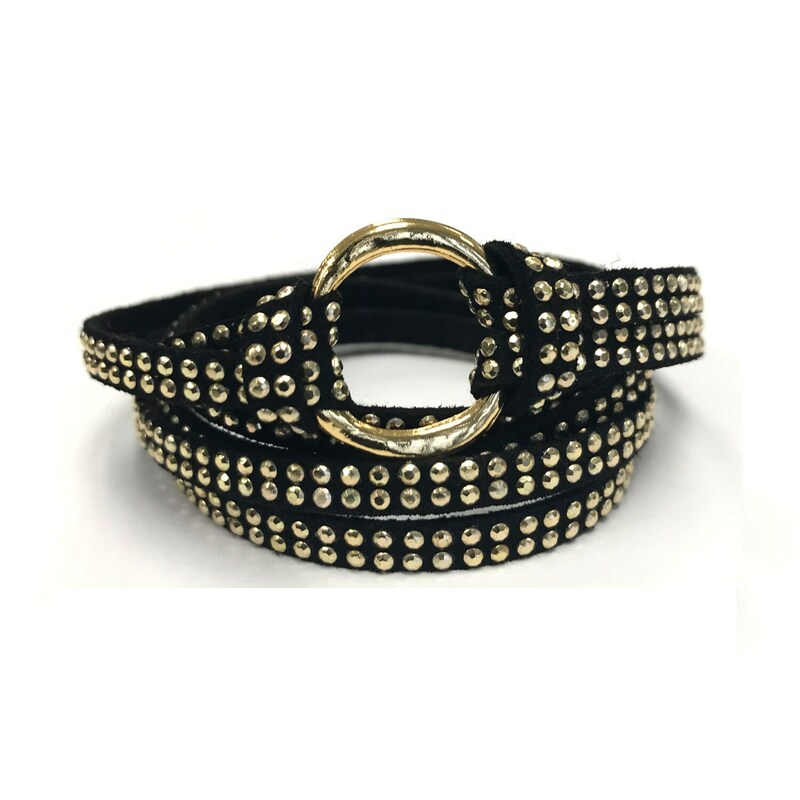 With a length of approximately 18 – 22”, you can comfortably wrap this bracelet three times to give you a look that goes with so many of your favorite outfits. 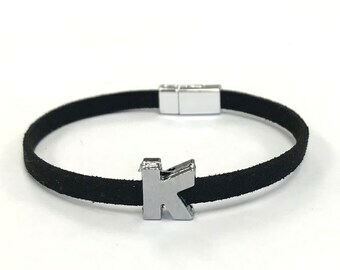 The bracelet comes in XS to Large, with a flexible length. If you have any questions, please contact me and let me know how I can help you. I’m always glad to help my customers in any way I can. Sizing (Now Available in XS, S, M, L): This style's length is flexible, please convo me with your wrist size if the standard size does not meet your needs. 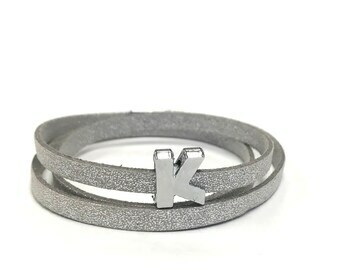 If you leave us a custom message about your wrist size; we will discuss more details about your request. Love it!! I’m trying to get used to it pulling a little snugger than I’d like, but aesthetically it is exactly what I wanted! Great communication! Fast shipping. Sized nicely. Thank you! It's super cute, but smells so much like strong spray paint that I can't have it in the same room as me. I'm hoping if I set it out in another room for a few weeks, the smell will go away. Otherwise, I won't be able to to keep it. I accept Paypal and direct checkout for all orders. Please pay or at least contact me three days after your purchase. If I do not receive any communication from you after three days, the sale will be canceled. I do not provide refunds unless something went terribly wrong with the shipping or the post office. I will happy to work with you and treat each situation on a case by case basis. I do offer resizing of products, just contact me and request the correct size of your wrist. I ship orders daily using USPS First Class Mail for domestic order and Global First for International orders. Most items are ready-to-ship, but some will be made to order and take 1 week or less before being shipped. I accept wholesale orders -- there is a 10 item minimum (you can mix and match your items). Just send a convo or email me info[@]wrapsbyrenzel.com and I will be happy to discuss it with you.